Fans will see another fantasy film that is based from a video game - "Warcraft." Director Duncan Jones and actor Travis Fimmel gave their insights on the film. In January, film director Jones gave fans what to expect in the "Warcraft" film in his interview with 2P. Jones said the upcoming game-based film will demonstrate impressive special effects, which will be made possible by Bill Westenhoffer, Ang Lee, and Jeff White. Ramin Djawadi is set to score the film. About the film plot, Jones tries to present the "Warcraft" with more emphasis on heroes on both sides of the Humans and Hordes doing their best to prevent the conflict from happening, not the typical war between the humans and the Orcs. In his point of view, the battle between the two sides will be triggered by the original villains. When asked about his favorite, the director remained tight-lipped at first. "As for favorites, I cannot do that! I am like a parent now! They are all wonderful in their own ways," the Jones said. However, the director finally revealed his pick among the heroes. "...but if pushed, and ou want to know one of my favorite chararacters, Durotan is very special to me," he said. Actor Fimmel also hinted what fans can see in the movie in Digital Spy. The Vikings actor said that shooting the film is a "whole different experience", in addition to having the CGI stuffs as well as motion capture. Fimmel also expressed his excitement upon seeing the preview of the digital effects. "The motion capture stuff is gonna be ground-breaking," Finnel said. "I've seen some images from it, and what they can create now with computers is unbelievable," the actor added. "Warcraft" is an upcoming epic fantasy film, which is based on the Warcraft video games series. The film is set in the world of Azeroth and will center on the origin events prior to the conflict between the Humans of Stormwind and the Orcish Horde. The Humans of Stormwind will star Fimmel as Anduin Lothar, Dominic Cooper as King Llane Wrynn, Ben Foster as Magus Medivh, Ben Schnetzer as Khadgar, and Ruth Negga as Lady Taria. The Orcish Horder will include Toby Kebbell as Durotan, Rob Kazinsky as Orgrim Doomhammer, Clancy Brown as Blackhand, and Daniel Wu as Gul'dan. Other members of the cast include Paula Patton, Dean Redman, Burkely Duffield, Daniel Cudmore, and Callum Keith Rennie. Jones is set to helm the upcoming fantasy film, together with Nicholas Carpenter, Stuart fenegan, Alex Gartner, Jon Jashni, Chris Metzen, Michael Morhaime, Brent O'Connor, Charles Roven, Paul Sams, Jillian Share, and Thomas Tull as his co-producers. 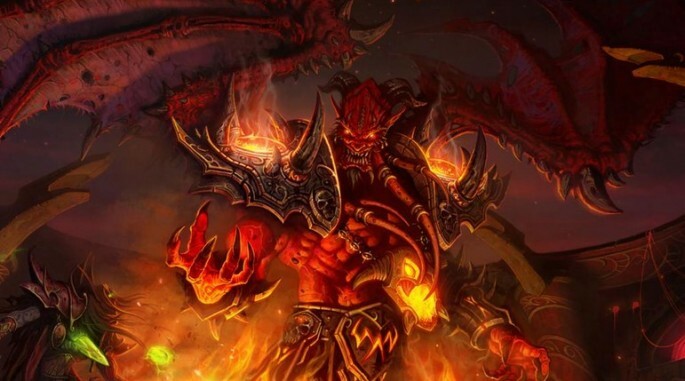 Charles Leavitt and Chris Metzen are set to pen the film story. The film is to be produced by Legendary Pictures, Blizzard Entertainment, and Atlas Entertainment and to be distributed by Universal Pictures. Filming locations include Burnaby and Vancouver in Bristish Columbia, Canada. "Warcraft" is slated to premiere in theaters in the United States on March 11, 2016.